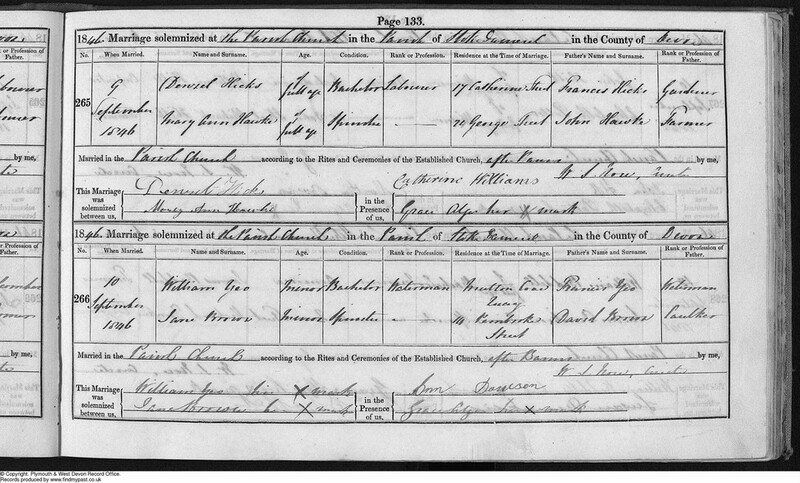 These records include baptisms, marriages and burials from 1538 to 1911, making it easier than ever before to trace your Devonshire ancestors before the first census and the start of birth, marriage and death records in the 19th century. of no occupation, were married in Stoke Damerel. Both bride and groom were recorded in the register as minors by the lenient vicar, and the signatures of the witnesses weren't of their parents or anyone obviously related. Other interesting finds in the parish records include Devon's most infamous celebrities of the past: Reverend John (Jack) Russell, the 'dog breeder in a dog collar', Devonshire's Lady in Waiting to Queen Adelaide, Charles Babbage, the inventor of the first computer and Charles Kingsley, author of The Water Babies. Plymouth City Council's Plymouth & West Devon Record Office provided findmypast.co.uk with these records, as part of the Plymouth and West Devon Collection.